Over the weekend I made me a wooden arrow to hang above the double doors that lead into the office. I used scrap materials so this project costed me a total of free. 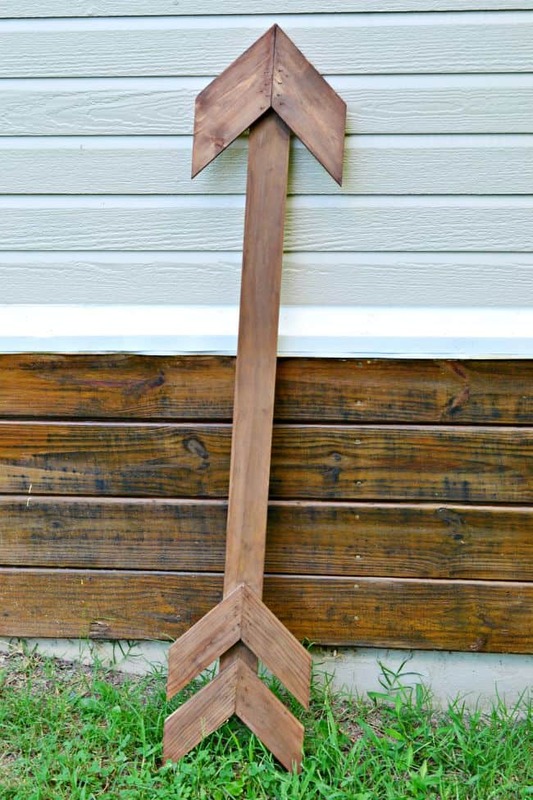 However, if you are wanting to make one of your own diy wooden arrows all you need is approximately 1 – 1 x 3 x 8 board. I say approximately 1 because it really depends on how long you want to make it but a 8 foot piece should be plenty. Like I said above all you need in materials is 1 – 1 x 3 x 8 inch board or scraps if you have them and then some stain. I used my always loved homemade wood stain. It is crazy how just a little bit of apple cider vinegar and steel wool turns wood into a gorgeous color. Oh…..you will also need wood glue and nails. I used a brad nailer but regular hammer and nails works too. 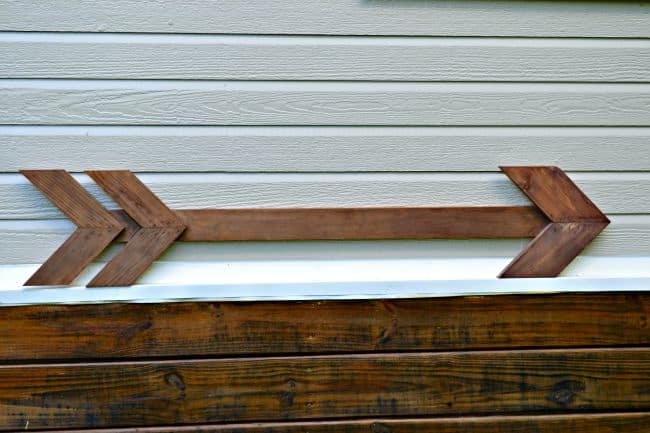 To make the actual arrow, cut down the size of your main length. 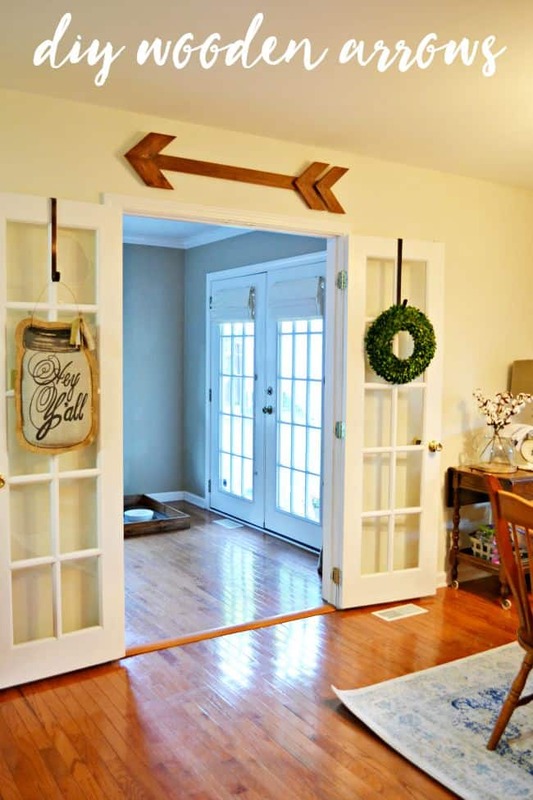 I made mine to fit length wise with the top of our double doors. Then to cut the smaller pieces you will want to cut them at 45 degree angles, cut 6 of these. Once you cut one then you can use it as a template to keep all your pieces the same length. Use a little glue and nails to attach and you’re all done. 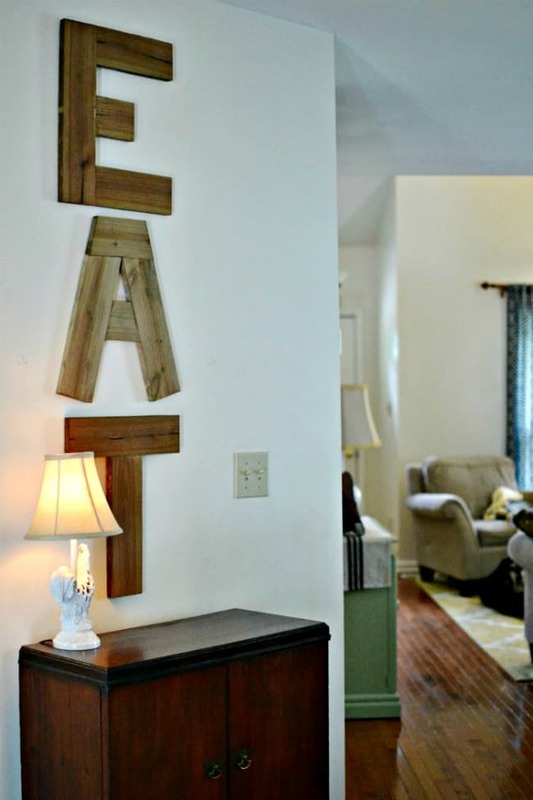 You might also like these other DIY signs I have made for my home. 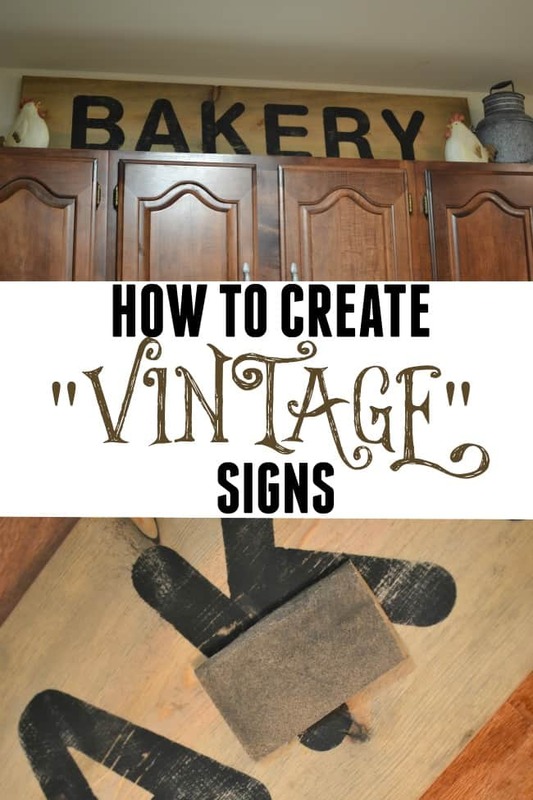 How to make vintage signs!